Let's talk about the opioid epidemic in the USA . That's right, opioid prescriptions went up 2.85 x from 1991 to 2012. 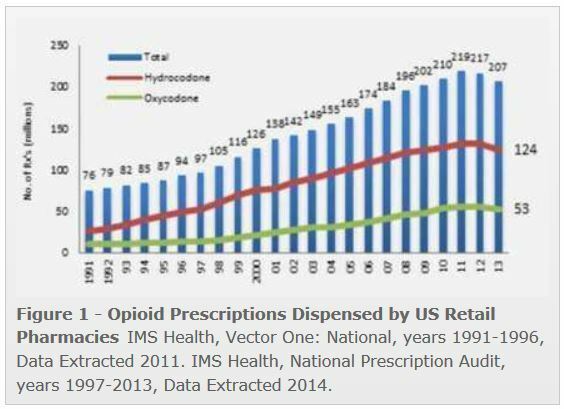 So US manufacturers used US doctors to get US pharmacies to increase opioid use by just under 3x. Let's say that again: all of these respectable businesses and professions worked together to TRIPLE consumer demand for opioids. Doctors who did not "treat pain adequately" had multimillion dollar medical malpractice judgements and felony charges filed against them. 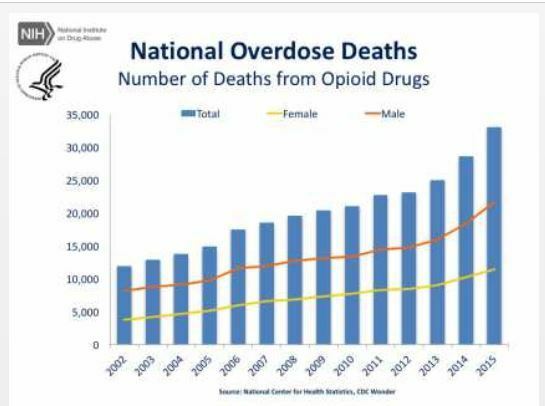 There was an integrated marketing, lobbying, regulator-defanging, and "public education" campaign that caused this explosion of opioid use and addiction. We tripled the number of people whose bodies were now physically addicted to opioids. That's right. Opioid OD deaths have TRIPLED since 2002, half the period covered in the first graph. Opioid OD's now kill about as many Americans as car accidents. Let's say that again: you now are as likely to die from an OD as you are to die from a car accident. We need to change our approach.